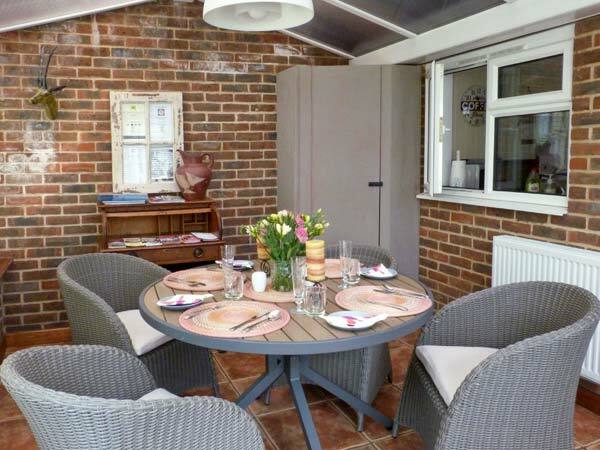 Woodend Annexe is a semi-detached converted coach house located next to the owners' home, on the outskirts of the small hamlet of Fontwell, close to the South Downs National Park in Sussex. 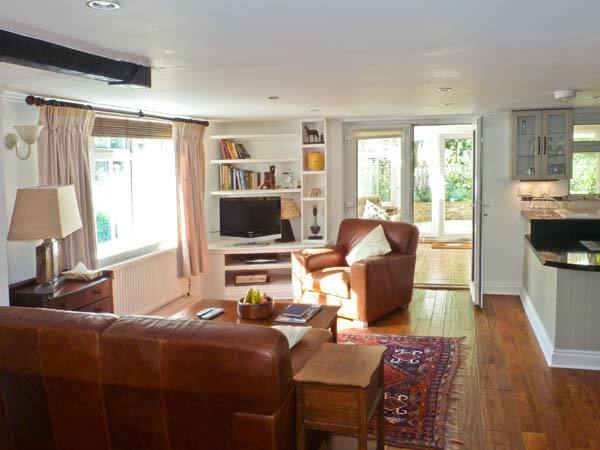 This cottage sleeps six people in three bedrooms, consisting of one king-size double with shared en-suite bathroom leading to a room with a double day bed and a Juliet balcony, and a ground floor double with en-suite, wheelchair accessible wet room. 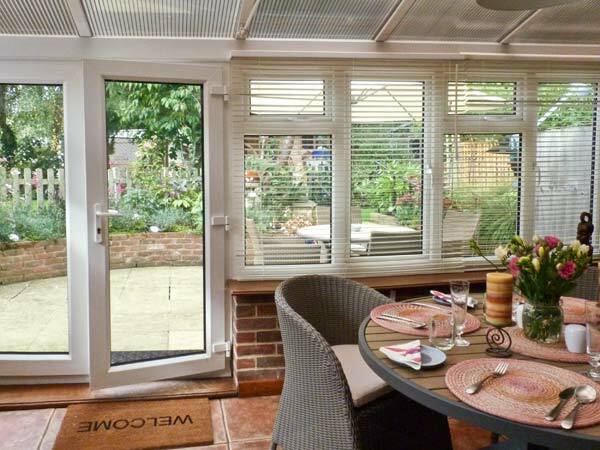 The cottage also has an open plan kitchen and sitting area and a conservatory with a dining area. 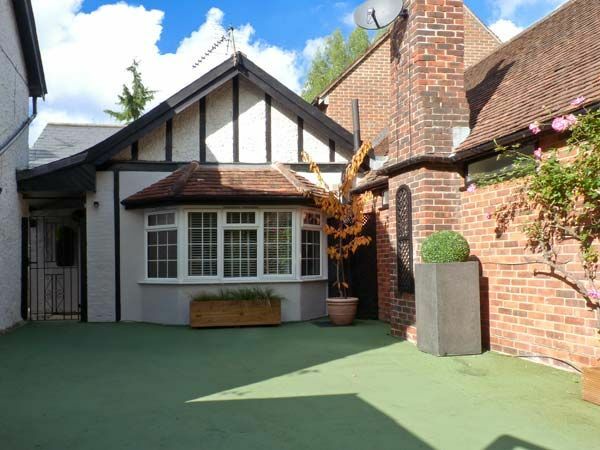 Outside there is off road parking for two cars, an enclosed, private, front patio and an enclosed, private, raised lawned garden with patio and furniture. 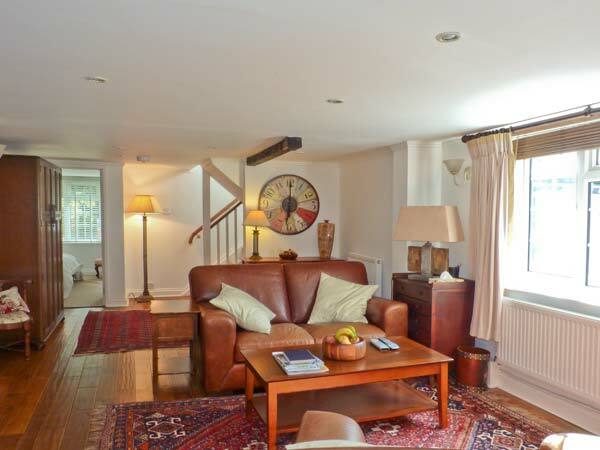 Woodend Annexe is a wonderful base for walks, cycle rides, a trip to a racecourse, or to admire the beauty of the South Downs National Park. Note: There are sloping ceilings and limited headroom in first floor bedrooms. Note: Ground floor may be suitable for wheelchair users, please contact the owner for more details. Note: Access to the shared en-suite bathroom is via the double bedroom. Oil central heating. 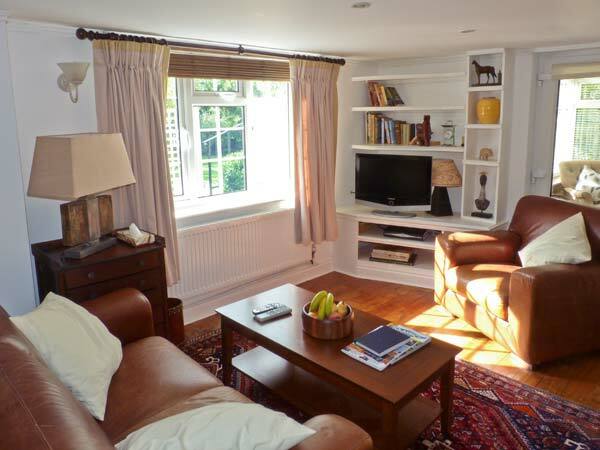 Electric oven and hob, microwave, fridge, freezer, washing machine, dishwasher, 4 x TVs with Freeview, DVD, WiFi, selection of books, games and DVDs. Fuel and power inc. in rent. Bed linen and towels inc. in rent. Cot, highchair and stairgate on request. Off road parking for 2 cars. Enclosed private front patio. 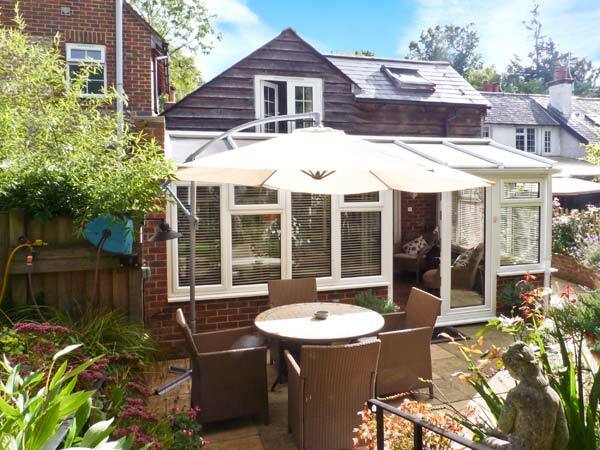 Enclosed private raised lawned garden with patio and furniture. Sorry, no pets and no smoking. Shop 2 miles, pub 10 mins walk. Note: There are sloping ceilings and limited headroom in first floor bedrooms. Note: Ground floor may be suitable for wheelchair users, please contact the owner for more details. Note: Access to the shared en-suite bathroom is via the double bedroom. Note: Check-in time 4pm.